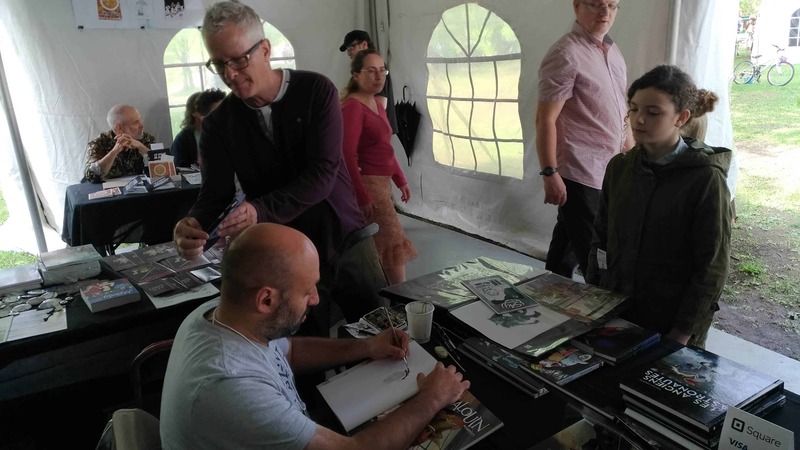 Running from May 25th-27th, 2018, the Montreal Comic Arts Festival brings together writers, illustrators, and publishers from across Europe and North America to celebrate comics in both French and English. 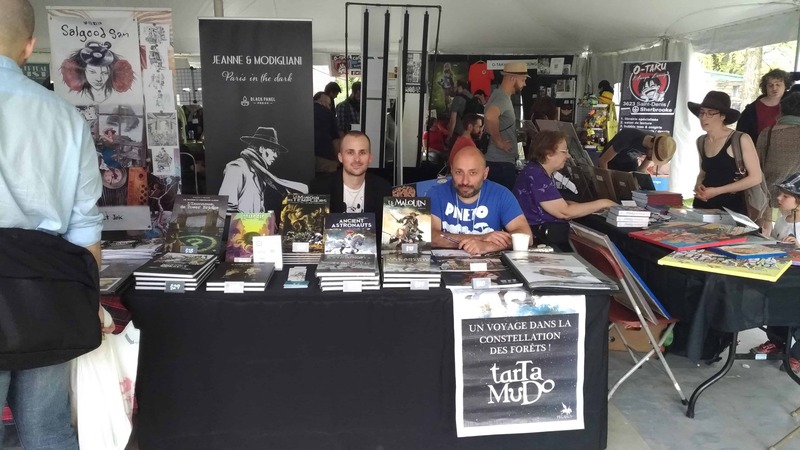 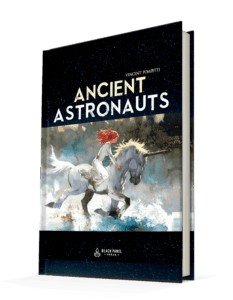 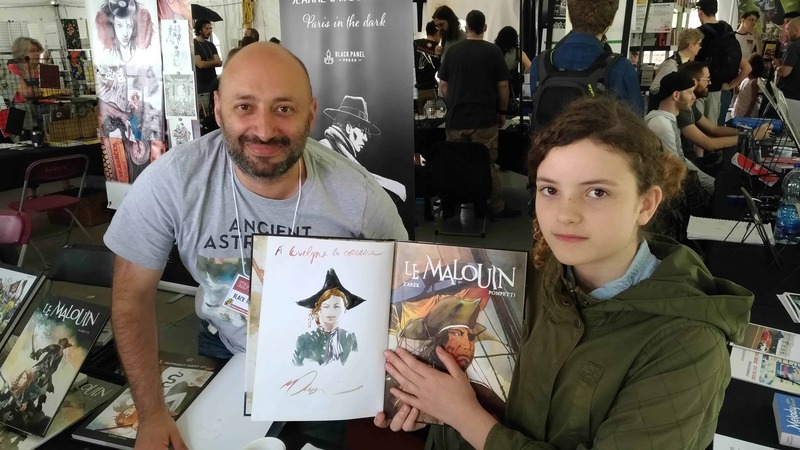 Andrew Benteau (editor) and Vincent Pompetti (artist) represented Black Panel Press at the festival, exhibiting titles in both French and English, including Ancient Astronauts and Conquest: Julius Caesar’s Gallic Wars. 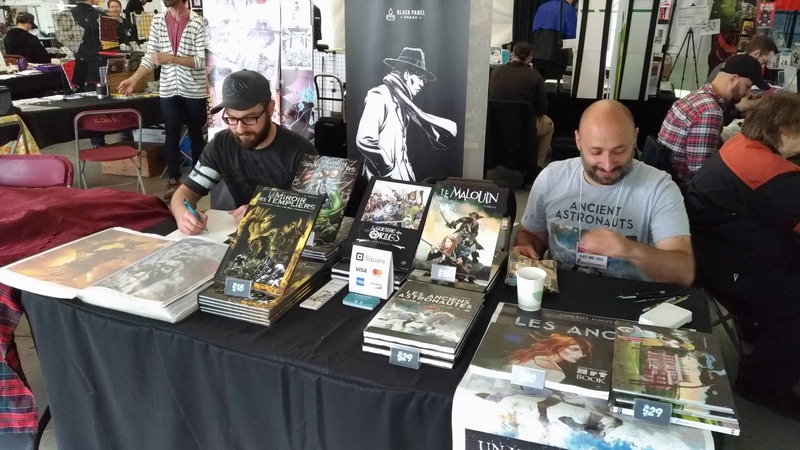 Participating in MCAF panels on different publishing models and editor secrets, Andrew Benteau talked about his experience launching a new independent publishing house in the digital era. 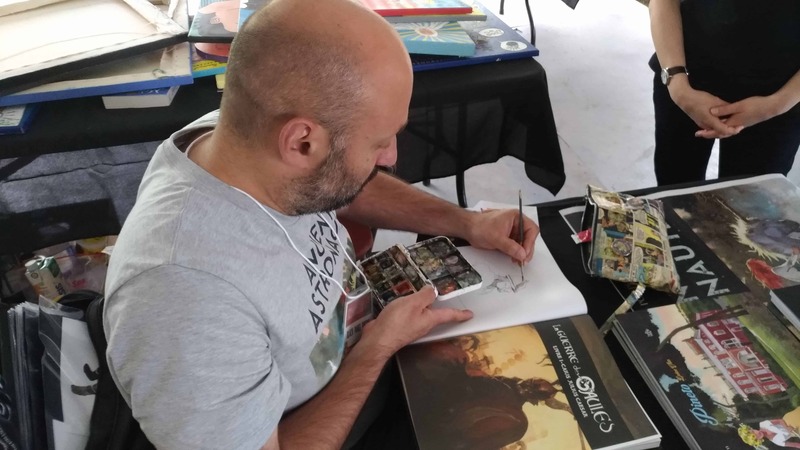 Vincent Pompetti hosted a workshop on Rhythm in Storytelling where aspiring comic storytellers learned how to pace and structure their panels to build engaging visual stories.